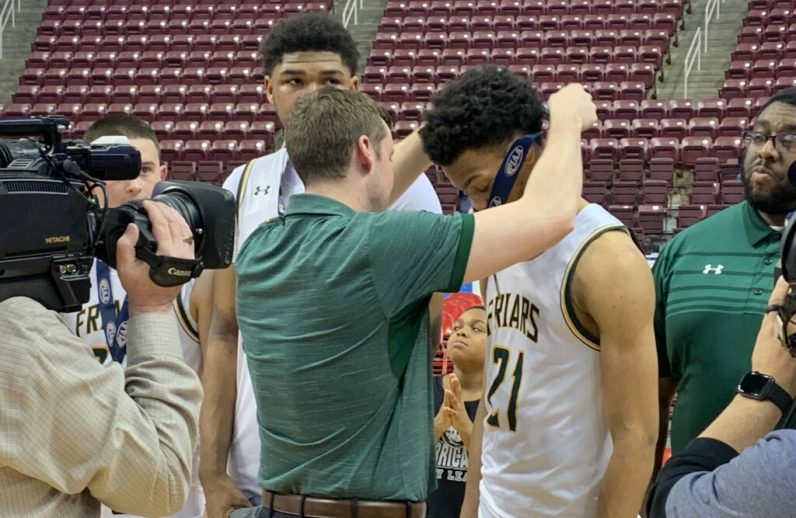 Bonner-Prendergast coach Kevin Funston awards a second-place medal in the PIAA playoffs to senior star Isaiah Wong, who tallied 29 points and seven rebounds in a loss to Imhotep Charter, 67-56, in the Class 4A semifinal. After 16 different teams from the Catholic League — eight of each gender — qualified for a chance at capturing a PIAA basketball state title, the opportunity of bringing home gold has been reduced to two possibilities. At 8 p.m. tonight, March 22 in Hershey, the Archbishop Wood boys’ team will meet Moon High School in the Class 5A final. On Saturday at 6, the Archbishop Carroll girls will try to sever fellow Class 5A juggernaut Chartiers Valley’s 29-0 record. Regardless of what occurs, the Catholic League has once again displayed its athletic prowess against the commonwealth’s top programs. Through last night, the composite Catholic League record in the tournament stood at 35-13 (boys are 21-7; girls are 14-6) — and three of those defeats came against Catholic League opponents in the boys’ quarters. Archbishop Carroll senior Harlem Jennings helped the Patriots reach this Saturday’s PIAA 5A state championship in Hershey. In Carroll’s semifinal win over Southern Lehigh Tuesday night in Souderton, the Catholic League champion Patriots followed a seesaw regulation with a dominant overtime. They nailed nine of 10 free throws and held SL to a measly two points. Junior Erin Sweeney finished with 14 points, senior Mary deSimone added 11, and freshman Grace O’Neill chipped in 10. Archbishop Wood also needed an extra session to thwart Abington Heights, 63-53. The sophomore trio of Jaylen Stinson (17 points), Rahsool Diggins (15) and Daeshon Shepherd (13) joined senior Julius Phillips (10) in double figures. 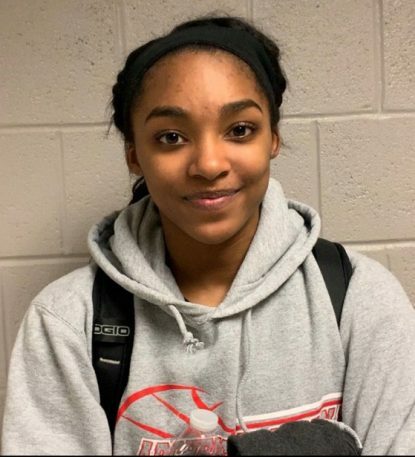 The Vikings are attempting to win their second state title in three years, and it would make Phillips the first-ever two-time basketball gold winner. It’s been a tough week for Bonner-Prendergast. B-P senior Maeve McCann scored 15 points in semifinal defeat at the hands of Bethlehem Catholic, 64-50, in the Class 4A semifinal. Before the aforementioned Carroll contest, the Pandas had played Bethlehem Catholic in the first game of a doubleheader. Despite 15 points by B-P senior Maeve McCann, the Pandas lost the Class 4A semifinal bout, 64-50. 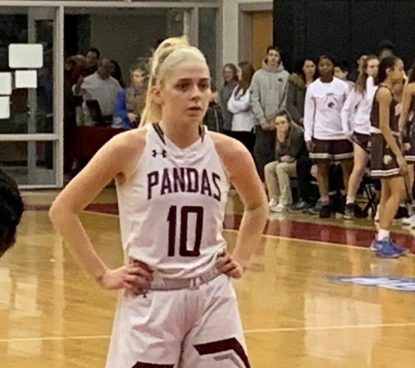 The visibly emotional Pandas had expected to reach the state championship, but a dominant fourth quarter by Bethlehem Catholic posed too big an obstacle. Unfortunately for Bonner-Prendergast’s community, the boys’ team also saw its campaign end. In the Class 4A state championship last night in Hershey, two-time Most Valuable Player senior Isaiah Wong scored 29 points and grabbed seven rebounds, but it wasn’t enough as Imhotep Charter prevailed, 67-56. The Friars fell one win shy of seizing their first state title. Bishop McDevitt’s boys and La Salle also lost in the semifinals. The Lancers dropped a 63-55, Class 3A decision to Trinity; La Salle, which had shocked Catholic League champion Roman Catholic in the Class 6A quarterfinals, lost to Pennridge, 52-47.